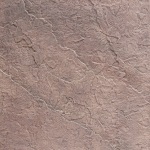 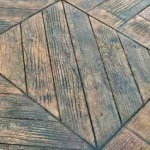 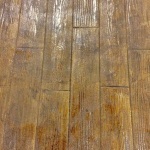 Stamped and Stained Concrete contractors in Vancouver, BC. 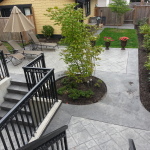 "At Vancouver Concrete Connection we are committed to quality workmanship. 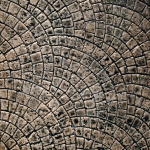 Our placing crew has a combined experience of over fifty years in the concrete industry. 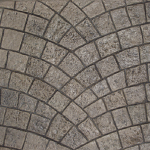 We specialise in decorative concrete applications that will enhance the look and feel of your concrete patio or concrete driveway. " 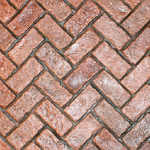 Concrete stamping, a unique way to achieve the look of stone, brick and other natural materials, is used throughout Vancouver and the Lower Mainland. 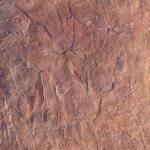 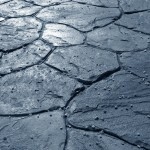 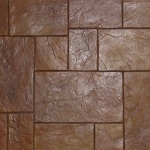 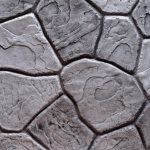 Because of its strength and versatility, stamped concrete is especially popular for pool decks, driveways and patios. 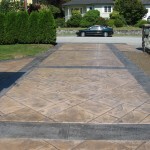 Any Vancouver home can benefit from a decorative concrete driveway. 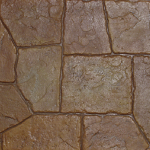 Adding colour and texture, with concrete stamping, to an otherwise plain, grey driveway is one of the best ways to improve the look and feel of your home for a reasonable cost.